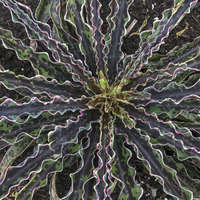 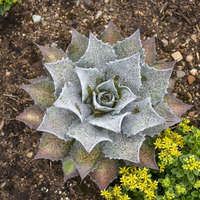 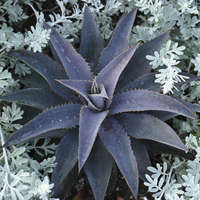 This succulent has the surreal look of a moonlit night. 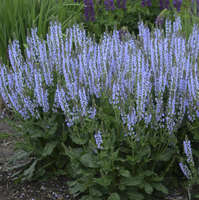 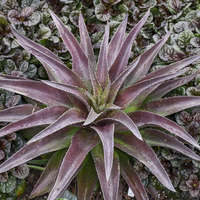 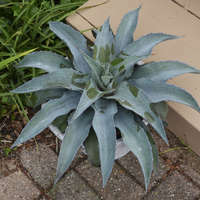 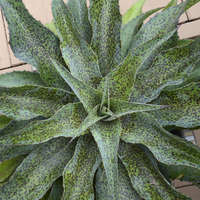 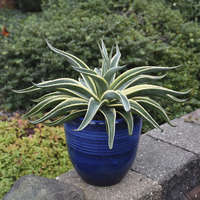 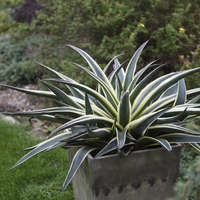 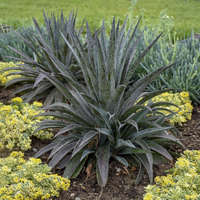 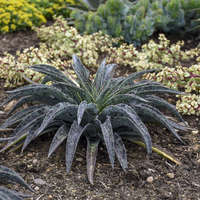 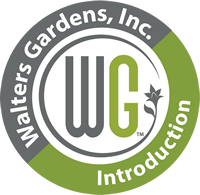 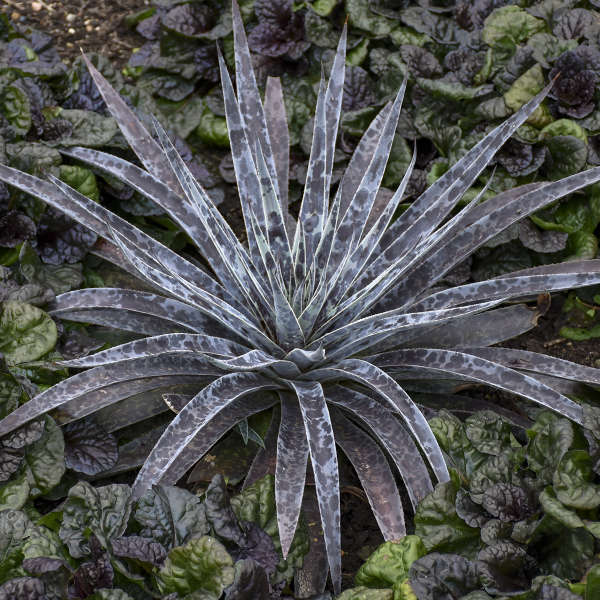 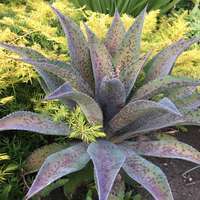 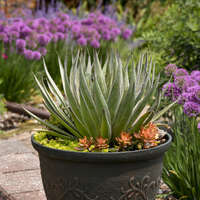 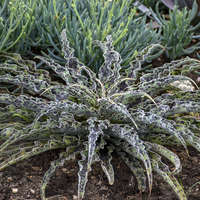 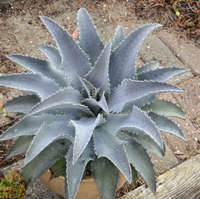 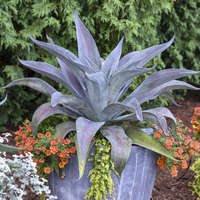 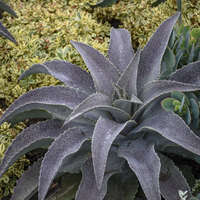 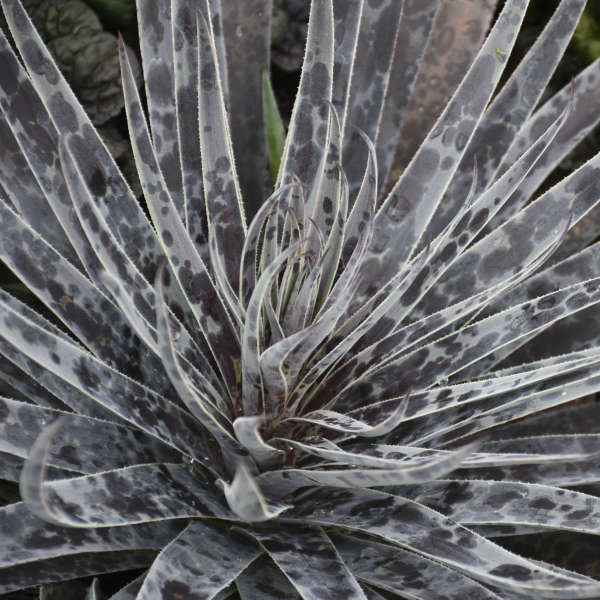 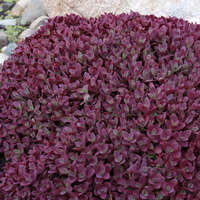 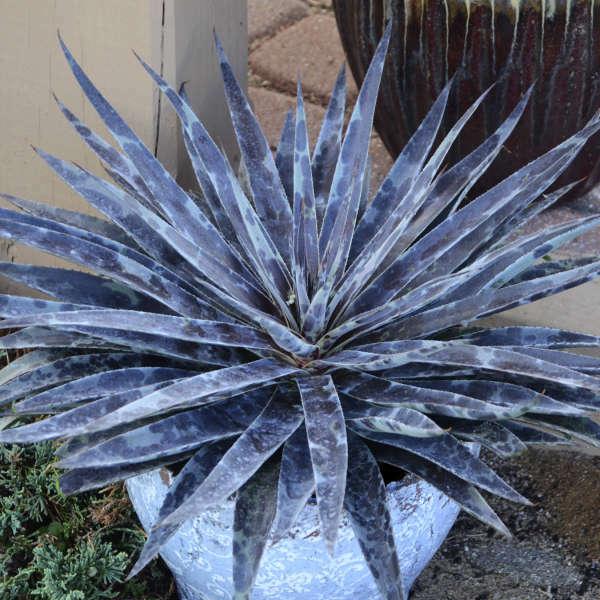 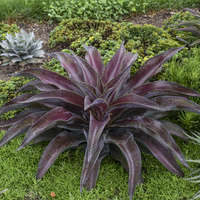 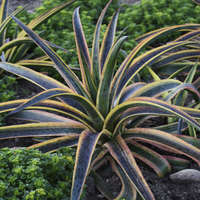 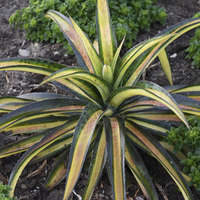 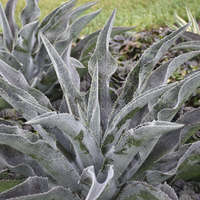 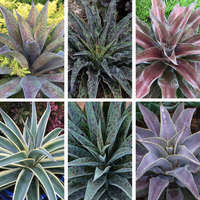 1in wide, silvery blue-green leaves practically glow with huge, contrasting dark purple spots to complete the effect. 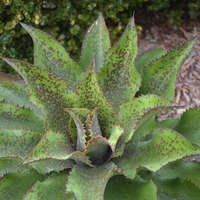 The spots will be more dramatic when exposed to more UV light levels from the sun. 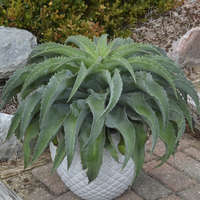 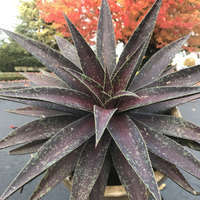 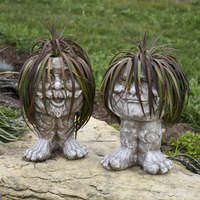 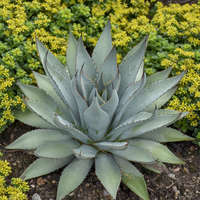 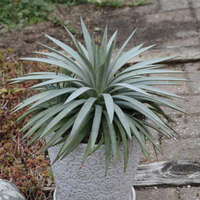 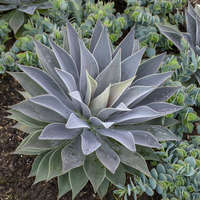 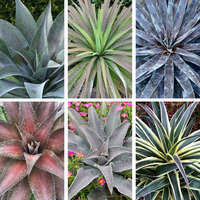 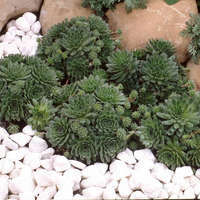 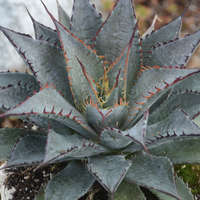 The 8-9in long, flat leaves are held rigidly straight from the base, forming a low, wide, and spiky habit. 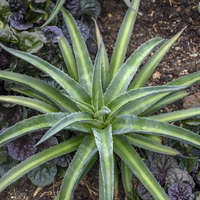 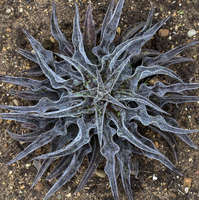 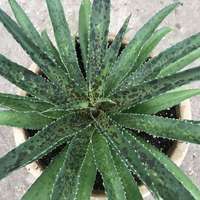 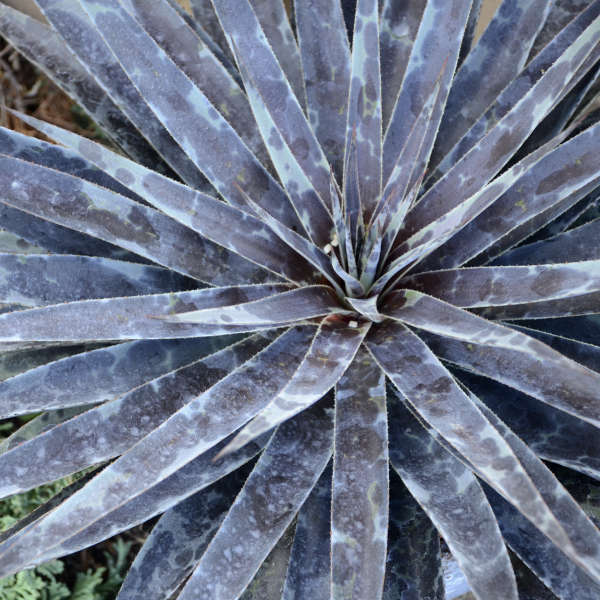 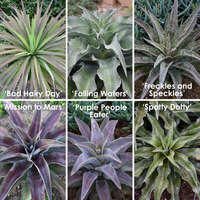 Tiny spines line the margins and terminal spines are relatively soft to the touch—much less lethal than Agave varieties.